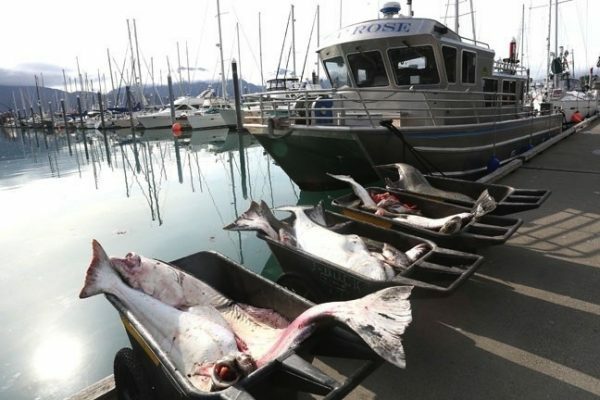 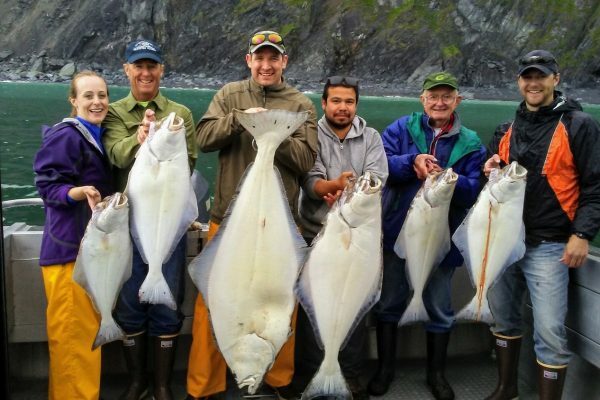 The best halibut fishing in Alaska means steady action for halibut in the 50-80 pound range, with Alaska giants over 100 pounds brought to the scales every day. 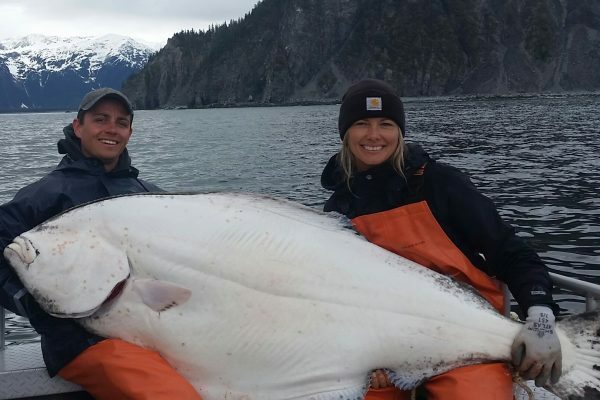 We do encourage catch-n-release on fish over 150 pounds and have engaged in an Alaska Halibut tagging program. 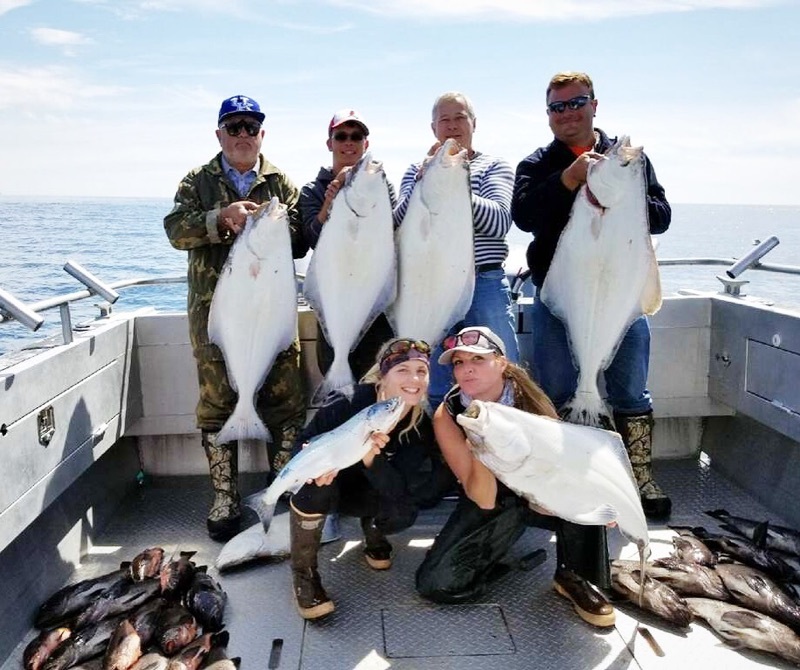 Alaskan Fishing Adventures pioneered halibut fishing the outer reaches of Cook Inlet back in the early 1980’s, and literally had the whole fishery just for our clients. 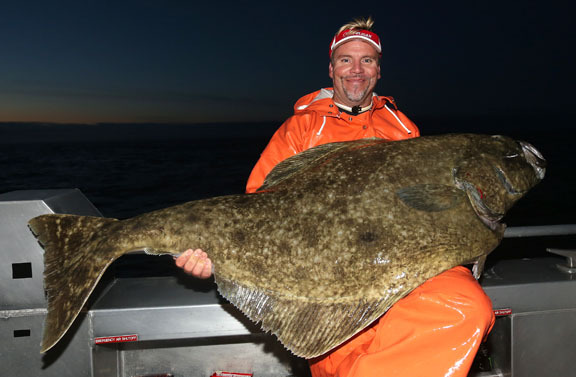 Because of the unparalleled catches our guests have experienced, today other boats venture onto the same waters. 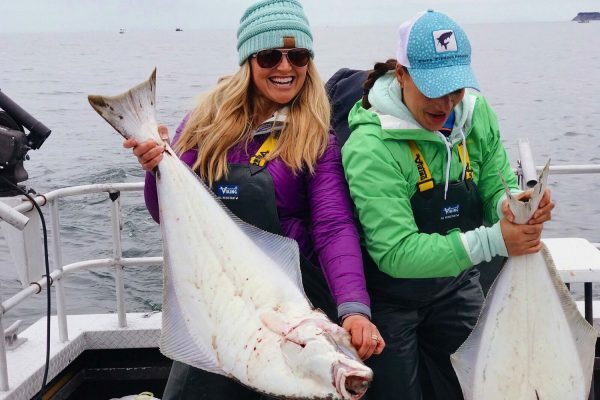 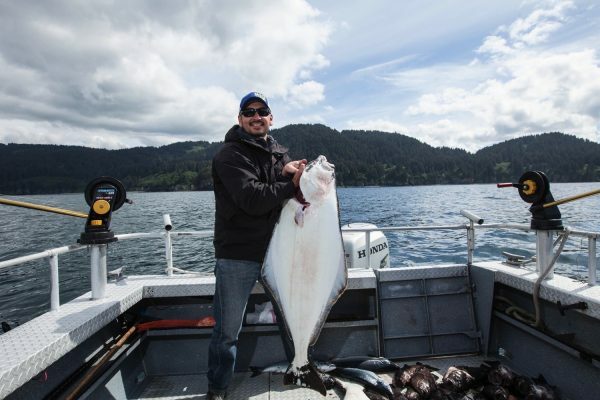 Our Alaska halibut fishing Captains and crews have more experience and have been fishing this area longer, resulting in an unmatched Alaska fishing experience for our guests. 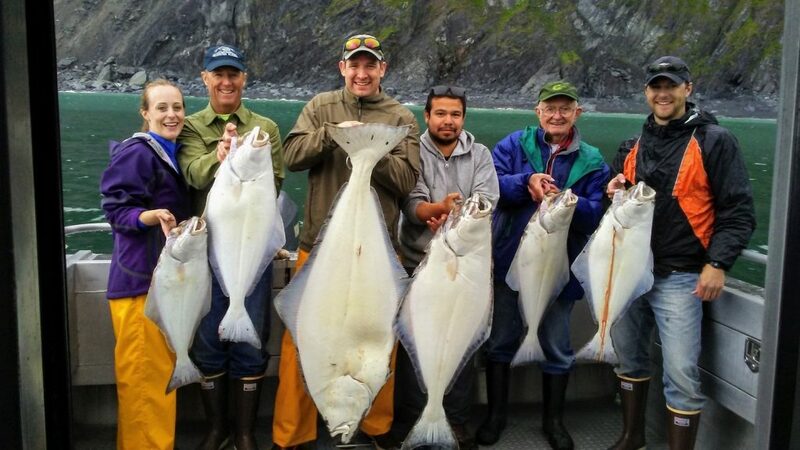 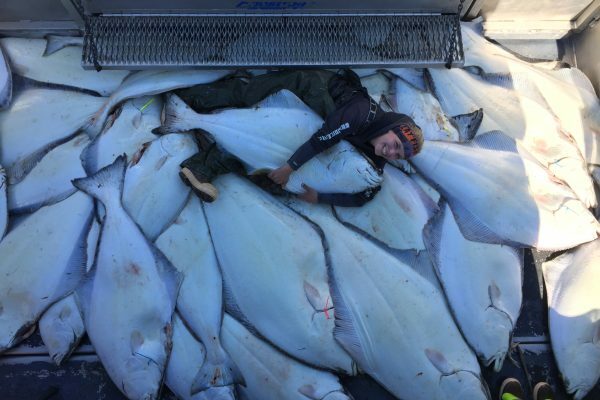 Our years of experience with Alaska halibut is your assurance of the most successful and safest trip possible. 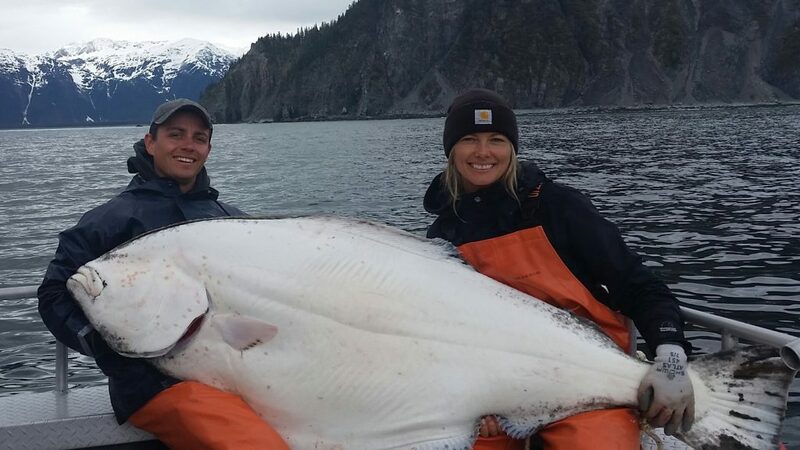 Our state-of-the-art fleet of charter vessels are custom designed to meet the challenges of fishing in Alaska. 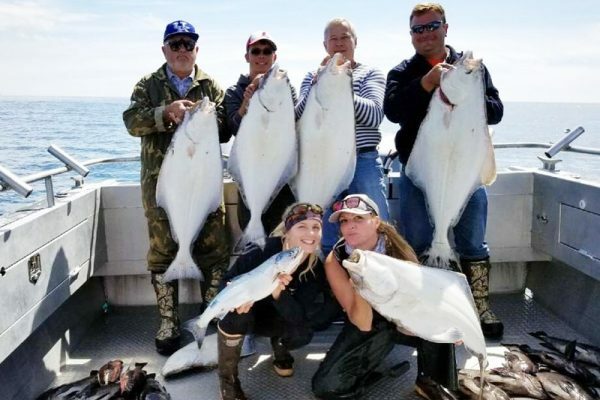 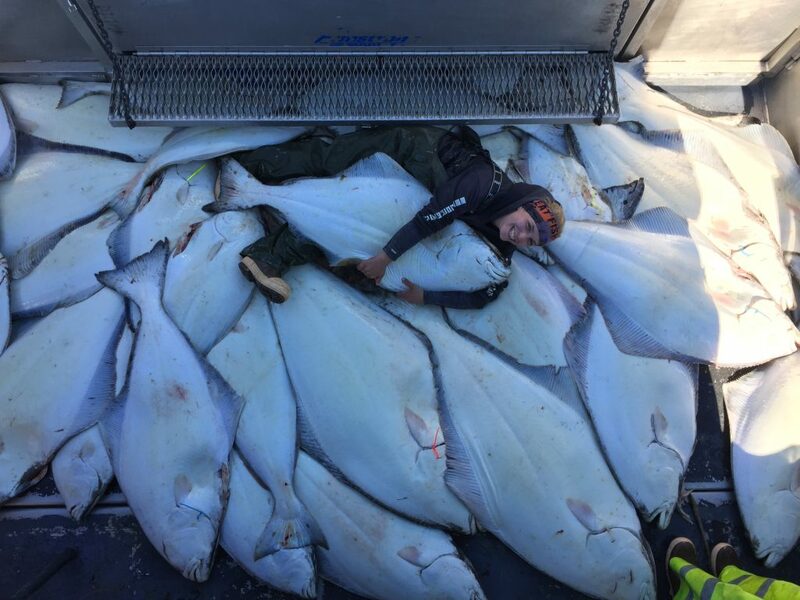 We’ll get you fishing in the Halibut waters quickly and safely, in full comfort. 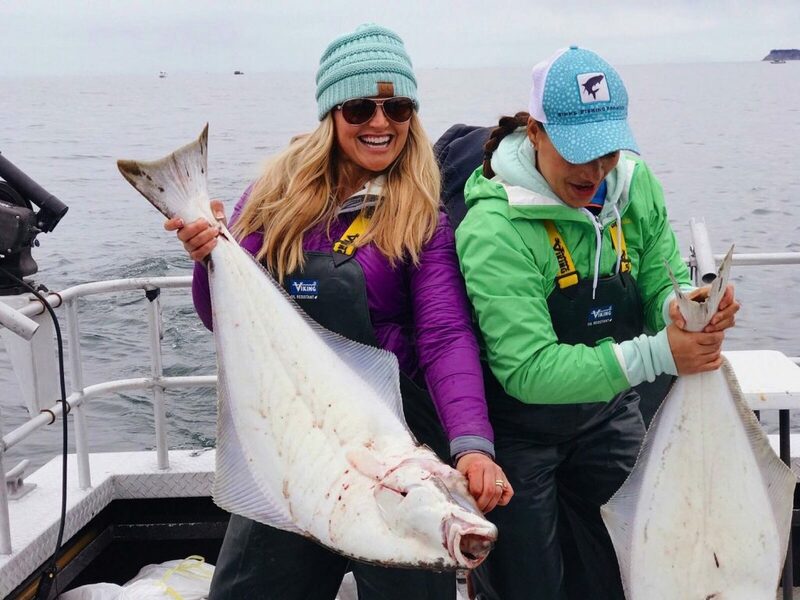 Come and explore the Cook Inlet and beyond!